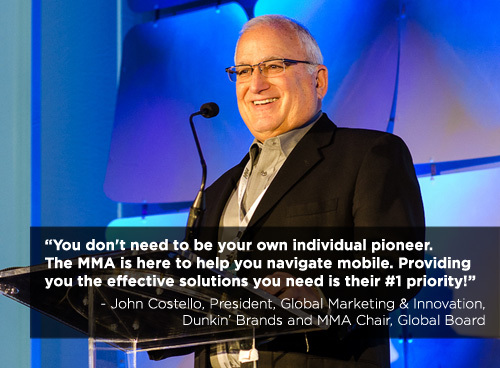 The MMA shapes future success while propelling business growth today. With the imminent explosion of 5G, AI, and other emerging technologies, mobile remains at the epicenter of this once-in-an-era age of transformation. The MMA helps brands, technology and media companies, and agencies lead this imperative for marketing change – in ways that enable future breakthroughs while optimizing current activities. 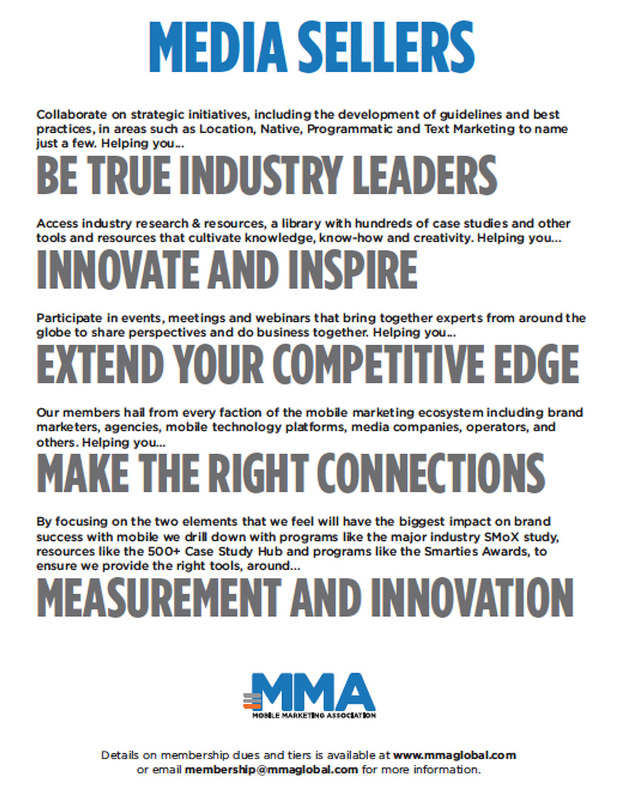 At the MMA, we believe the best way to thrive – and the only way to survive – is to help marketers and their partners solve the most significant impediments to growth and empower them for the future. 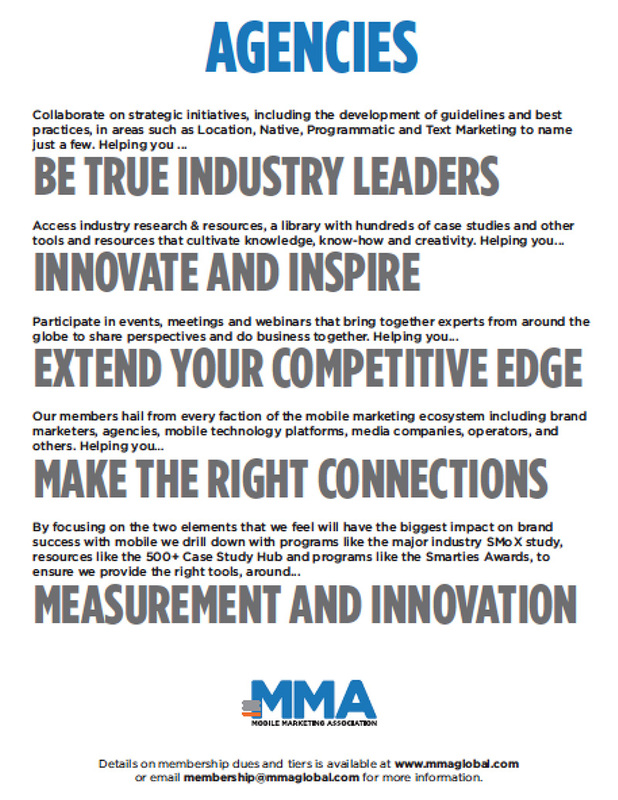 The MMA is the only global trade association that brings together the entire ecosystem of marketers, tech providers, sellers and agencies with representation and engagement from the highest levels, proven by our Board of Directors. By joining, you'll be exposed to top marketing talent, thought leaders and change-agents in the industry for more in-depth insight into issues and solutions – focused on building platforms that matter to you. 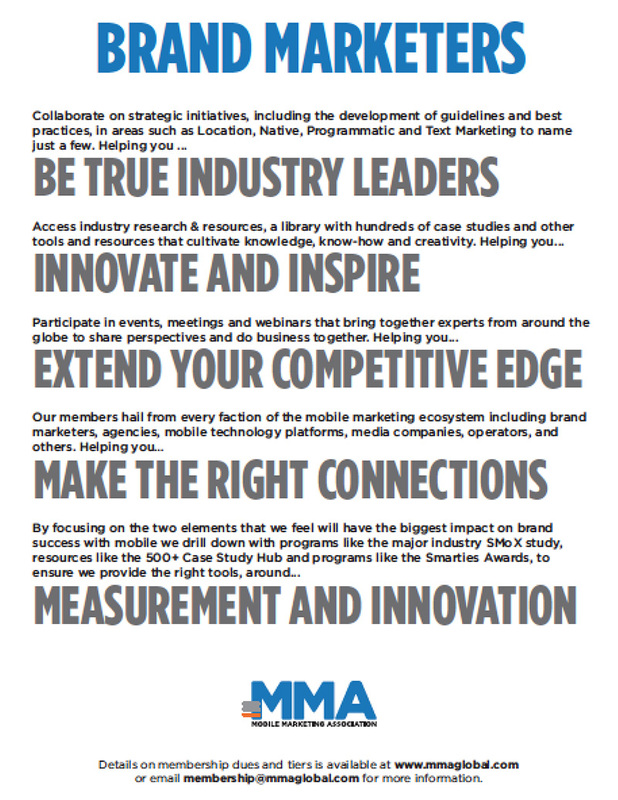 The MMA offers the gravitas, technical knowledge, and connections that no other organization can. We are committed to both proven and peer-driven best practices, without compromise, through our must-attend events, strategic initiatives and programs, and ground-breaking research that challenges the status quo. We've invested millions of dollars in research to enable marketers with unassailable truth and actionable tools – sparking major brands such as Walmart to double their investment in mobile. By enlightening, empowering and enabling marketers and their partners, the MMA shapes future success, while propelling business growth today. Still not convinced? Contact us to learn more. 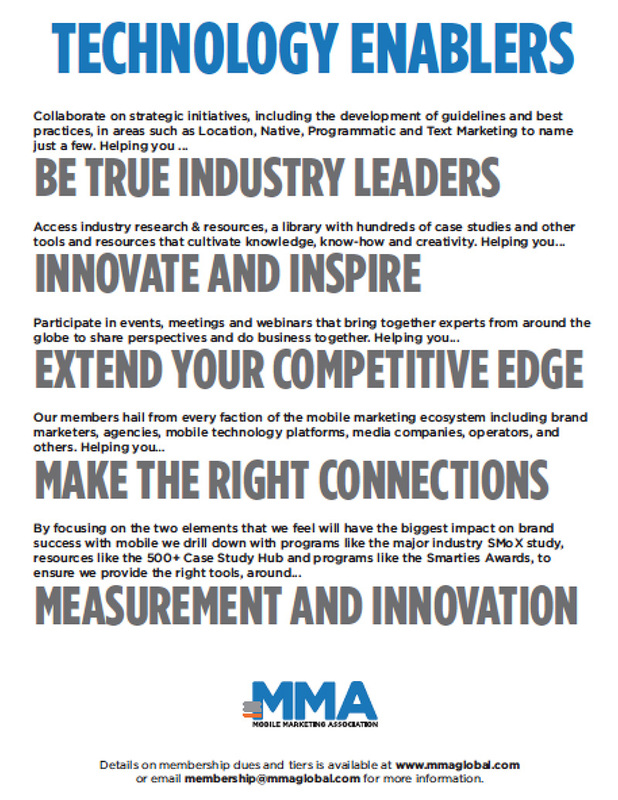 Whether you're a marketer, retailer, agency, advertiser, advertising solution, media network, mobile solution or service provider, the MMA is a key partner and a crucial element of your success.